Rather than offer Jo Wanmer a standard interview, I asked her to share part of her life with us – either a story about how she met her partner or a story of heritage from her family’s past. Jo offered to share the story about how she and her husband fell in love, and she wrote it from his point of view, which is intriguing. He saw her the moment she walked in. He had never seen this family at church before. She was gorgeous and her legs were amazing. He watched as his father easily welcomed the girl’s mother. Now he could wander over and his Dad would introduce him to this girl. But he was frozen in his seat. His mouth was dry. His nerdy mate slipped in beside him and began talking about cars, as always. He wanted to talk about girls, but his tongue was stuck to the roof of his mouth. As he watched, he knew somehow, sometime he would marry that girl. Every week she was in church and youth group chatting and laughing to everyone else but him. She seemed so confident. The night the youth came to his house for coffee, he selected a chair opposite her. He wanted to tell her how wonderful she looked this evening. But he couldn’t. Maybe he’d talk about the weather. His mother called and someone took his chair. He retreated to his room, defeated. He hadn’t spoken a word to her. But the next weekend they went to her house. He carried mugs for her Mum, and managed to tell her brother about the bike, but she was talking loudly, busy with her friends. Another month passed and the youth group returned to his house. He ran into her at the top of the stairs. ‘You…you want to see my bike?’ He felt like a klutz. ‘Oh! I didn’t know. Where is it?’ She followed him down the stairs, chattering about her bike and her crazy escapades. Really it was easy to talk to her. He only had to listen! But she went back upstairs, returning to the loud, fast conversation. He sat with his nerdy friend, talked cars and thought about her. Then he had a lucky break. Her mother went on holidays, leaving his vision of loveliness home without a car. He offered to pick her up for church in the morning and then again at night. Then he picked her up for youth group and drove her home. She invited him to take her up the coast to join her family for the weekend. For hours they walked the beach, talking, not noticing that their feet were getting sunburnt. He could barely walk the next day, but did that matter? No! It had taken nearly a year, but he finally had his girl. It seems like yesterday, but that all happened in 1969. We’ve now been married forty-one years, and he is still very quiet! Oh, I’ve gone all gooey reading that. Thanks Jo, for sharing it with us. I reviewed Jo’s novel Though the Bud be Bruised last week. You can read it here, along with more information about this wonderful author. What are you currently working on, Jo? Though the Bud be Bruised was my first attempt at writing anything more than 1,000 words. I have started a novel, but mostly I’ve been writing articles and blogs. I have entries in ‘Strength’, this year’s Life Well book, and articles in Golden Pen magazine and Footprints. I am a communicator firstly and love to preach, but I know there are other books coming, sometime! Well, I for one, am looking forward to the communicator side of you at the upcoming Word Writers Getaway. And I look forward to the day when you do release another novel. Thanks for sharing your story with us today, Jo. of what has happened within her family? The shock of discovering that evil, cleverly disguised, has penetrated her home and her church has left Zara reeling. Feeling a total failure, she looks for a way to resign as a mother; a way to stop this nightmare. But her daughter, Issy, desperately needs a good mother as she attempts to face life after abuse. Can Zara put aside her grief, her own need for acceptance, her narrow thinking, and deeply ingrained religiosity in time to help Issy? Will Issy even survive? How could God allow this to happen? Is God even there? Is her faith relevant or is it just a false crutch she has lent upon all these years? Is there any possible way that God can use this nightmare for good? Though the content is confronting, dealing with issues that most people like to keep hidden, it is actually filled with hope. While it could seem to be quite a horror story when you look at the events, it is in fact, a powerful testament to the profound love and grace of God. Jo Wanmer did an exceptional job of dealing with this issue, without leaving me feeling weighed down with grief. I was enthralled with the journey the Lord took Zara on as she dealt with her daughter’s abuse, and I identified with some of the lessons she learned, even though my own circumstances are quite different. There is something in this novel for everyone — from becoming aware of the evils of sexual abuse, to a new understanding of God’s love and grace. But, be prepared to have your ideals challenged and your thought processes provoked! Jo Wanmer loves being a Queenslander. 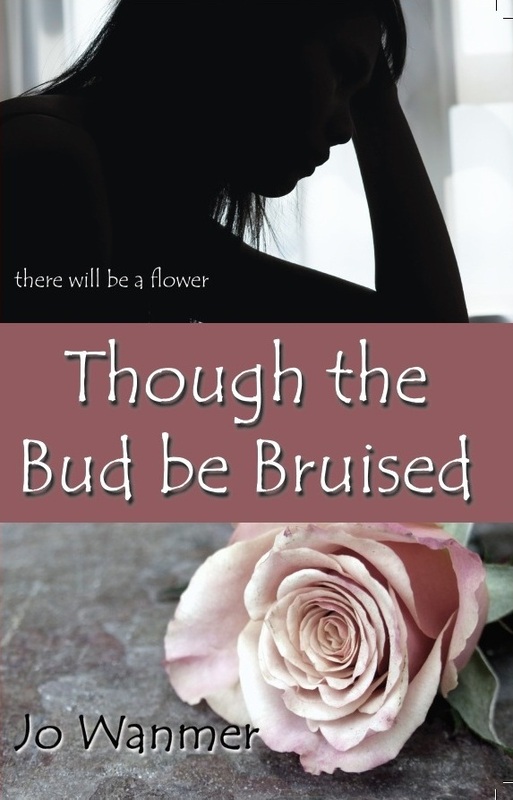 She really enjoyed writing ‘Though the Bud be Bruised’ and is working on another novel. Her passion is to bring the love, healing and hope of Jesus to men and women who have walked through life’s valleys. There is always light at the end of the tunnel. 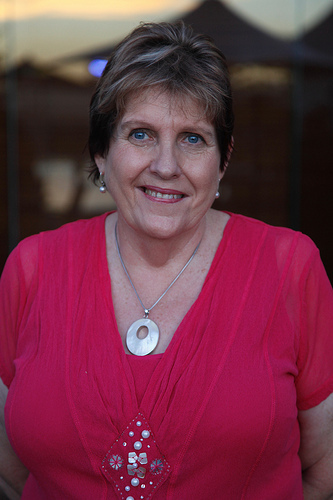 As an associate pastor, Jo is an accomplished speaker and preacher. She would be happy to visit your group and speak on any of the topics raised in this book.